Mr. Ennis began his policing career in 1981 with the Cayman Islands Police Force as it was then known until the title ‘Royal’ was bestowed on it in 1983 by Her Majesty the Queen during her royal visit to the Cayman Islands. 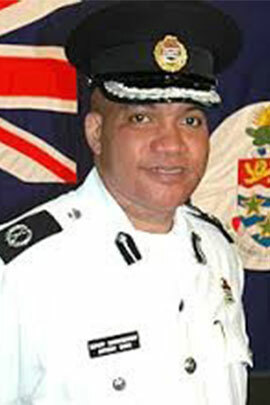 During his tenure, he has served in various branches of the service, including on the Sister Islands. In addition to his role or lead in operational policing, he previously managed the Service’s Personnel and Finance Department, including preparing its annual budget and played a key role in the civilianisation of the two portfolio functions thus releasing policing officers to operational policing. He was also involved in other areas of the public sector reforms during the 90s that saw other non-policing functions devolved to other public sector bodies or civilianised, including the Vehicle Licensing Department. He has served on the front line of significant operational events that had a national significance or impact, most notably the Northward Prison Riots of 1999 and the devastation caused by Hurricane Ivan in 2004. Mr. Ennis has received numerous professional commendations during his police career, including the Colonial Police Medal for meritorious service that recognised his contributions during Hurricane Ivan. He has attended countless professional training courses and centres, including the prestigious FBI National Academy for law enforcement officers where he was awarded a post-graduate diploma in Criminal Justice Education from the University of Virginia and the Defence Academy of the United Kingdom. He also undertook training at the Drug Enforcement Administration training institute. Mr. Ennis holds a Bachelor of Law degree from the University of Liverpool, the CI Attorney-at-Law qualifying certificate from the Legal Advisory Council and was awarded the Council of the Cayman Islands Chamber of Commerce’s award for scholarly achievements in the final examination results at the CI Law School. Additionally, Mr. Ennis holds a Master of Science degree from the University of Portsmouth in Human Resource Management. He is a graduate member of the FBINA and the Charter Institute of Professional Development (CIPD), UK. Mr. Ennis was promoted to Assistant Commissioner of Police in 2003 and to his current position of Deputy Commissioner of Police in 2005.